1. BOPP Self Adhesive Tapes needs to be placed in rolls and cannot be folded. If the storage time is long, it needs to be turned once every quarter, and the tape should be stored in the warehouse, avoiding the sun and rain. 2. The type and specifications of the Colored Packing Tape should be reasonably selected according to the needs of use. 3. The good operation and cleanliness of the transparent tape have a direct relationship. The foreign material will affect the eccentricity of the tape. If the tape is damaged during use, it is necessary to find the cause and then repair it in time. 4. 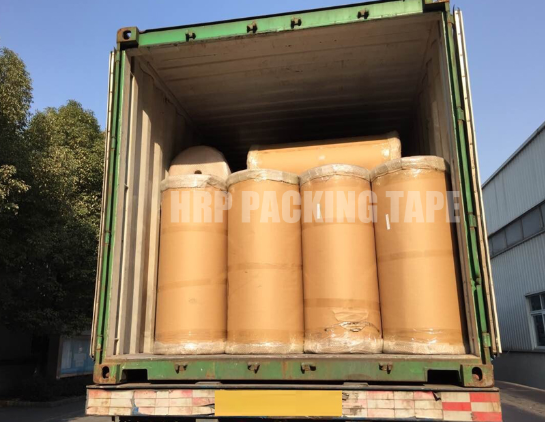 Oxygen, because the oxygen content in the air accounts for 21%, and oxygen has the property of accelerating the oxidation of the substance, the activity is very heavy, causing rapid oxidation of the transparent tape, which causes the tape to become "old". However, we should not let the tape appear when the tape is applied. Of course, for the breathable transparent tape, this factor is inevitable. 5. Ultraviolet (sunlight), ultraviolet light has high temperature characteristics to quickly decompose viscous materials, and long-term exposure to transparent tape under sunlight will be decomposed, resulting in aging of transparent tape. Look at the place where the tape is used, and see if it can prevent the object from being exposed to the sun. 6. Plasticizer, its main function is to soften the plastic, and most of the rubber products contain plasticizer. As time goes by, the proportion of the material itself contains plasticizer will increase, causing the aging of the tape. Wait. Under the long-term influence of various factors above, the printing tape will be deteriorated, softened, solidified and lost. 7. When the storage temperature of the scotch tape is between 15 and 38 ° C, it is not easy to cause residual glue, and it is better to approach the low temperature part. 8. Scotch tape cannot be squeezed during storage, otherwise there will be a color difference between the tape roll and the roll. Next: Why Does The BOPP Jumbo Roll Smell?